BUTWAL, Nov 7: The Bhairahawa Special Economic Zone (SEZ) has signed an initial agreement with 14 firms interested to set up their industries in the zone. Sundar Thapa, under secretary of SEZ Development Committee, said final agreement with the firms will be signed once the firms register their industries with concerned authorities. The committee selected the 14 firms from applications received from 22 different firms. “We have not signed final agreements with these firms now as they will have to set up industries within a year of signing of the agreement as per the rule. Also, they will have to pay rent after signing the final agreement,” added Thapa. The committee had invited application to set up industries in the Bhairahawa SEZ in May, giving a 30-day deadline. It published another notice in September, giving interested firms 15 days to file applications. Industrial units in SEZ, especially the export-oriented ones, get special facilities as well as incentives. These 14 firms have booked 36 out of 69 plots to set up their industries. Similarly, eight industries, who had applied in the second phase, are in the processing of booking 25 plots. Eight plots are still to be booked, according to Thapa. Siddhartha Group has signed initial agreement to set up three industries, while Golchha Organization is setting up one industry in the Bhairahawa SEZ. Similarly, Arunkhola Multipurpose Cooperative, Chetansheel Multipurpose Pvt Ltd, Sugan Nano Herbal, Kiran Shoes Manufacturers (Gold Star Shoes), Worn Garment of Mahendra Kumar Goyal, Jagadamba Group and Lohiya Group have also signed initial agreement to set up industries. The government provides different facilities like waivers and discounts on income tax, excise duty, VAT and customs duty to factories set up in the SEZ. Similarly, investors can take away dividend in foreign currency. The parliament had endorsed the SEZ Bill in August, paving the way for implementation of the SEZ. 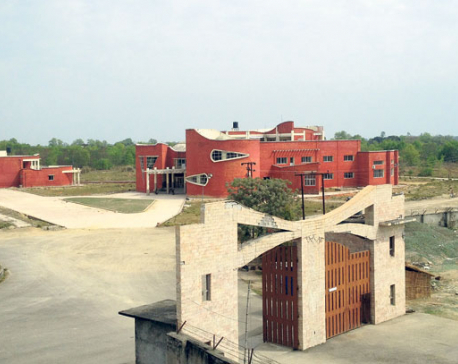 Though Panchakanya Group, Gold Chain, Swastik Rubber Industry and Vaidya's Organization of Industries and Trading House have filed applications to set up industries in the Bhairahawa SEZ, they have not signed initial agreement. At least 75 percent of the products of industries in SEZ need to be exported, according to the SEZ Operation and Management Guidelines.